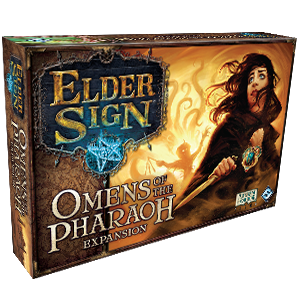 In Omens of the Pharaoh, the investigators will discover that there are some mysteries best left buried. An archeological expedition in the deserts of Egypt has brought your team of investigators face to face with the threat of the Dark Pharaoh, Nephren-Ka, who seeks to once again stalk the earth after being struck down centuries ago. The Lightless Pyramid game mode lets the investigators travel back and forth between Cairo and Dashur to gather supplies and gain special gameplay advantages by advancing the party’s Expedition. Gather powerful Relics to bolster your chances of stopping Nephren-Ka and explore Hidden Chambers to reveal the powerful Elder Signs that you’ll need to stop the rise of the Ancient One! From the Arkham Horror design team comes another visit to the Lovecraft universe. This time the investigators use dice to battle the Great Old Ones.